1) Often a sale is agreed to a buyer who attended the event within a few days. 2) The marketing surrounding the event generates extra interest in your property before and after the event. This can result in more traditional viewings and further opportunities to sell. We agree a date and time for the open viewing with you. There are some times and day which have proved more effective than others. 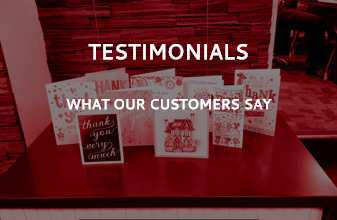 Our experience staff will be happy to discuss this with you and recommend the most suitable times for an open viewing event at your property. Advertising the event on the FOR SALE board. Promoting the event on the major property portals, including Rightmove and Zoopla. Amending property particulars to promote the event. Prominent weekly newspaper advertising in the weeks before the event. E-marketing including sending details of your property and invitations to the event followed by reminders, to thousands of applicants registered on or data base. On the day of the event, our staff will arrive early to set up the open viewing event, to meet and greet those attending and discuss your property. They will manage the event to ensure the security of your home and minimise inconvenience to surrounding homes. After the event attendee’s will be contacted and you will receive valuable feedback and in a good proportion of cases, offers. Is an OPEN VIEWING right for my property? What are the benefits of an OPEN VIEWING and what results can I expect? There are benefits of holding open viewings for almost all types of property. If you are using the event to promote a property which needs to be sold at a very competitive or has interesting potential for investors an open viewing will usually generate substantial and immediate interest, numerous potential buyers will attend the event and you will usually achieve a prompt sale. An immediate result! 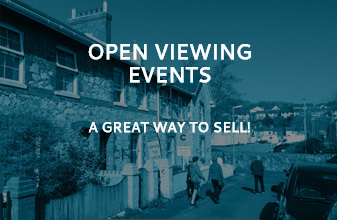 If you are selling a more standard property and you are looking to achieve the full market value, an OPENING VIEWING EVENT will still work for you. Only a few applicants may turn up on the day and some of them may not be ready to buy or are just looking. But we have created an opportunity to talk about and market your property which would not existed otherwise. Numerous people will have received email information about the event. These emails are opened more often than property specific emails and some recipient’s will pass emails on. Even those who may have “ just been looking” talk to other people about the properties they have seen. Neighbours will see the event going on and sometimes they have friends and family members looking to move closer. So by just holding the event your property benefits from a serious amount of extra marketing and more potential buyers get to hear about it. The possible results are: You might get lucky and find a buyer straight away. If not you will almost certainly have extra generated interest and be a step closer to moving. Are open viewings better than auctions? Our opinion is that the major advantage of an auction, is that you get a legally binding sale on the day. The big down side is that in most instances only cash buyers can buy at auction. Limiting the number of potential buyer to who you can sell, depresses the price you are likely to achieve. It’s simple supply and demand. 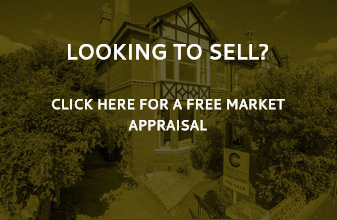 If you hold an open viewing, quoting an attractive guide price a similar level that an auctioneer might quote, you are likely to get a high level of interest. You can invite offers from all interest parties. Some may be from cash buyers, other may be from those requiring finance, who could not buy at auction. The choice is then yours as to which offer to accept. You could sell quickly for cash or may wish to consider a higher offer from a buyer requiring finance. An additional benefit of this route to market is that it allows you not only to sell for the best price possible with the time available, but allows you to clearly demonstrate that this has been done. As extensive marketing has been carried out and offers from all potential buyer have been considered prior to effecting the sale. This can be particularly useful for those such as executors who have legal obligation to fulfil. NEW AND EXISTING CLIENTS ARE WELCOME TO CALL FOR FURTHER INFORMATION ON HOW OPEN VIEWINGS CAN HELP YOU TO SELL YOUR HOME.